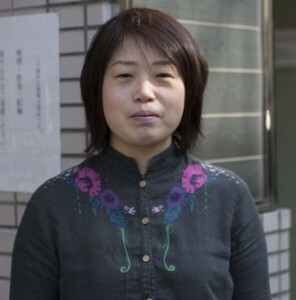 Yumi Sato is an animation producer at the well-known animation studio Brain’s Base. She has worked with director Takahiro Omori on all his Brain’s Base productions: BACCANO!, the Natsume’s Book of Friends series, Princess Jellyfish, Durarara! 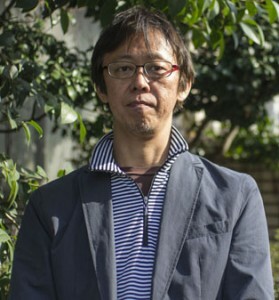 !, and Hotarubi no Mori e.
Takahiro Omori began his career as an animator in the 1980s and made his directorial debut in 1996 with Baby and Me. Since then he has directed series such as Hell Girl, Princess Jellyfish, and fan favorites Durarara! !, Natsume’s Book of Friends, and BACCANO!, on many of which he also acted as sound director. Wendy is an American Voice Actress for Funimation, lending her voice in such roles as Envy in Fullmetal Alchemist, Kyo’s Mother in Fruits Basket, Hevlaska in D.Gray Man, and Sister Paula from Trinity Blood, among with numerous other roles. Victor Joseph Mignogna is an English Voice Actor, who over the years has performed the voices of numerous animes and video games. Born August 27th, 1967 in the city of Greensburg in Pennsylvania, Mignogna is probably best known for his role as Edward Elric in Fullmetal Alchemist and Brolly in the Dragon Ball Z video game franchise. Besides voice acting, Vic has also performed musical scores such as Byakuya ~True Light~ from D.N.Angel, Brothers from Fullmetal Alchemist and Hikari E from One Piece. Tony Oliver is a voice actor, best known for his work in Lupin the Third, Robotech, Gurren Lagaan, and Vandread. He is also known for his various roles in Power Rangers as a voice actor, supervising producer, and writer. Sanada is best known for her role as Dejiko from Di Gi Charat, Sanada-san has played several other parts, including Sakurada Jun from Rozen Maiden, Oe Chizuko fromMahoromatic, and Tamai Shiina from Narutaru. She is also an established idol, having performed the theme songs for much of the Di Gi Charat franchise as well as the ending themes for both seasons of Mahoromatic as a member of the group Triomatic. In addition to being an anime voice actress, Samantha is also an animation instructor, President of her own animation studio called Saiko Studios, and also an avid zombie special effects technician. Most notably she is known for her work with such classics like the Jetsons, Speedy Gonzales, Final Fantasy: Unlimited, Samurai X, and many others. Mike Sinterniklaas, is the voice actor of many characters such as Horohoro (Shaman King), Guardian Mahad (Yu-Gi-Oh! ), Mr. 9 (One Peice) Seviper (Pokemon), and Isaza (Mushishi,). Mizushima Seiji is perhaps the most popular anime director in America right now, despite most of his fans probably not knowing his name. After all, it's not that often that one of your works sweeps across Japan and America like Fullmetal Alchemist has. Aside from his claim to fame, Mizushima-san has also directed, in some capacity, Neon Genesis Evangelion, Generator Gawl, Shaman King, Slayers NEXT, and Zaion: I Wish You Were Here. One thing can be certain: Fullmetal Alchemist will not be the end to this man's fame. Mary Elizabeth McGlynn is a ADR (Additional Recording Dialogue) director known for her work with Wolf’s Rain and Cowboy Bebop and also voicing in the previous stated along with providing the voice for other animes such as Digimon,Eureka 7and Vandread. 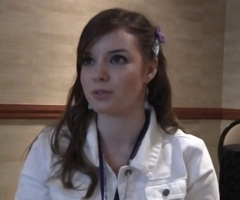 She is also a singer, prominently known for working on the Silent Hill series tracks. Lisa Furukawa is a Japanese-American bilingual musician who specializes in playing the piano, singing, and songwriting in both Japanese and English. Originally from Tokyo, Lisa moved to America at a young age, and currently lives in Durham, North Carolina. Her performances employ her talents in contemporary and classical music to produce a fusion of Japanese folk music, alternative pop, and electronica. She has released three albums; This Moment is the Show (2001),Pearl Diver (2005), and Reaching the Dragon (2006) which are available for purchase at http://www.lisafurukawa.com/. 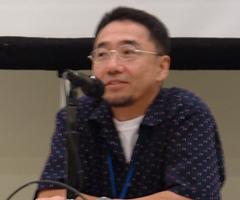 Kanemori Yoshinori has been a character designer for over twenty years now, predominantly working at Studio Madhouse. Debuting in 1985 with Gegege no Kitaro, Kanemori-san has since worked on such projects as Yawara!, Final Fantasy: Legend of the Crystals, the X TV series, and Card Captor Sakura: The Sealed Card. Just recently, Kanemori-san unveiled his debut work as a director: Alexander no Senki(Reign: the Conqueror). Despite twenty years in the industry, Kanemori-san's career is just beginning, and the anime universe eagerly waits to see what he can do in his new role as a director. Greg is well known for voice acting in many animes such as Evangelion: 1.0 You Are (Not) Alone, D.N. Angel, Black Cat, Heroic Age, Neon Genesis Evangelion, and Ouran High School Club. He is also known for djing at anime conventions for raves and other events. Chris is well known for voice acting in many animes such as Trinity Blood, A Tree of Palme, and Devil May Cry. He is also known for directing Xenosaga and Magikano, and giving a workshop on combat cosplay at conventions he attends. In March 2001, Azumi Kuwadate and Monkichi Irikura formed the band Bespa Kumamero, which blends techno and electro styles of music. Since 2006, the duo has been featured in many media outlets in Japan, Germany, France, Russia and Hungary. They also hold the distinct honor of being the only group to regularly appear at the Tokyo Cyber Monster event. Most recently, the duo completed a six stop tour in the UK in 2007 and performed in the States at Anime Matsuri 2008. Their first album was also released for sale on January 20th, 2008. Brian Keith Beacock (born March 29, 1966 in Hayward, California, USA) is an American television and film actor and a voice actor in anime and video games. He is perhaps best known for playing Byonko in Zatch Bell!, Takato Matsukiin Digimon Tamers, and Yamato Delgado in Battle B-Daman.